A day after India claimed that Dawood was in Pakistan, the neighbouring country dismissed it saying he was not present. The statement from Pakistan came a day after Home Minister Shinde claimed Dawood was in the neighbouring country. Pakistan on Saturday reiterated that fugitive underworld don Dawood Ibrahim is not present in the country, a day after India asserted that its most wanted terrorist was living in the neighbouring country. “We have repeatedly informed Indian authorities that Dawood Ibrahim is not in Pakistan,” said Pakistan Foreign Office spokesperson Tasnim Aslam. Asked if Dawood was ever present in Pakistan, she said, “This issue has been raised in the past too. We have checked and have said he is not present here”. “When I went to America last year to discuss inland security, I met the Attorney General who looks after the FBI. I talked to him and we decided that we will pass whatever information we have on Dawood amongst each other. We decided we will make joint efforts,” Shinde had said when asked about the whereabouts of Dawood, who is wanted in a number of cases by Indian security agencies including the 1993 Mumbai blasts. Dawood, who heads a vast and multifaceted illegal business, has emerged as India’s most wanted terrorist after the 1993 Mumbai bombings, which he allegedly organised and financed. An Interpol red corner notice is still pending against him. 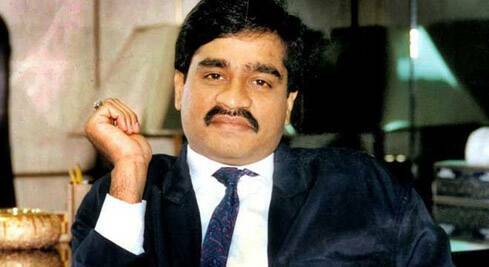 According to the US, Dawood maintains close links with terror outfit al-Qaeda. As a result, the US declared him a “global terrorist” and pursued the matter before the United Nations in an attempt to freeze his assets across the world and crack down on his operations. During the past two years, security agencies successfully brought back several wanted terrorists including Sayed Zabiuddin Ansari alias Abu Jundal, the key plotter of Mumbai attack terrorists Fasih Mahmood aka Fasih Mohammed, Abdul Karim Tunda and Yasin Bhatkal.